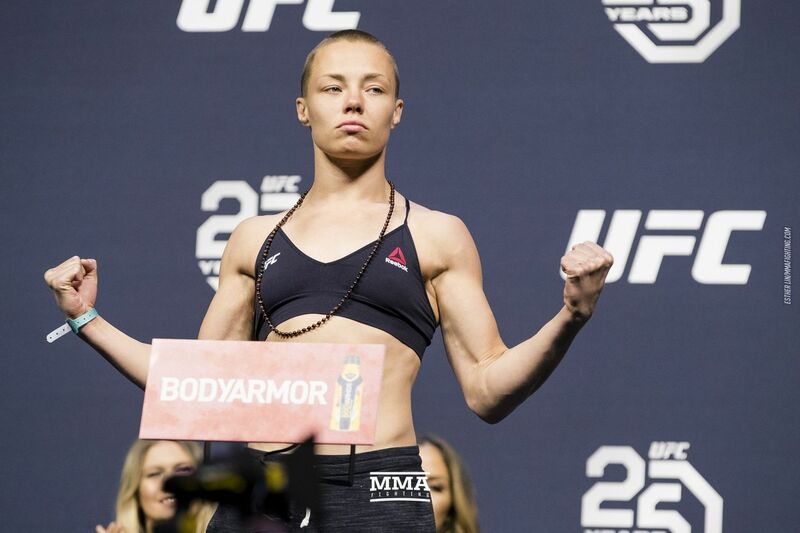 Rose Namajunas will make her return to the Octagon against Jéssica Andrade on May 11 at UFC 237 in Brazil. MMAFighting confirmed the initial report from ESPN. It should be noted, the UFC has yet to announce the venue or a city for the card. It will likely be the co-main event, according to sources. Namajunas (8-3) has not fought since successfully defending her 115-pound title against Joanna Jedrzejczyk at UFC 223 this past April. Prior to this, “Thug” dethroned Jedrzejczyk with a thrilling first-round knockout in their initial battle at UFC 217. She earned that title shot after picking up victories over Michelle Waterson, Paige VanZant and Tecia Torres. To date, five of her eight professional victories have ended in submission. Andrade (19-6) will enter their scrap riding a three-fight win streak. In her last outing, the Brazilian ran through former title challenger Karolina Kowalkiewicz at UFC 228 in September. Prior to this, Andrade picked up back-to-back decisions over Claudia Gadelha and Torres. To date, her only loss at strawweight came at the hands of Jedrzejczyk during their title fight at UFC 211 in May 2017. Andrade also holds notable victories over former Invicta FC champions Angela Hill and Jessica Penne, as well as Joanne Calderwood.